The ladies revisit this season's emotional highs and lows, all while trying to mend their fractured friendships. 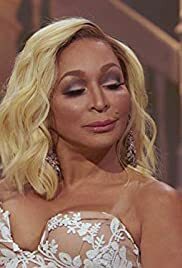 Monique and Robyn finally get to the core of their rivalry, while Candiace reveals some intimate details about her relationship. Karen sheds some light on her mysterious life, but the pain she is dealing with is too much to handle, and Gizelle proves to her that old friends are the best friends.